If you are a Christian and you also happen to enjoy gambling, or you are at least curious to know where does the Holy Book stand on playing games based on luck and fortune in an attempt to win money, you’ve reached the right page. Tune into your favorite radio station and keep reading to learn more. Is Gambling Considered A Sin? If you are a Christian yourself and you enjoy gambling, or you have Christian friends who often times play the lottery, bingo, or casino games, you might be wondering if what you are doing is considered a sin. This is one of the most popular questions and debates in the world of Christianity. Not knowing what the Bible says about it, or not knowing how to interpret the Holy Scriptures is one cause for the confusion. The truth is the Bible does not explicitly mention any lotteries, casinos, or bingo games that help you get rich quick. However, this does not mean that God has not warned us against this specific type of temptation. We all know one of the main reasons why people gamble is because they love money. Accordingly, playing a game with the intent to win money turns into a sin when the desire to make win quick and easy cash becomes an obsession that devours one’s whole being, heart, thoughts, and spirit included. If you often times find yourself contemplating the thought of winning a huge sum of money, or analyzing the brand new online casino that you have recently discovered, you might count among those that tend to make gambling more of an obsession rather than a relaxing activity. Going on this road usually means never or rarely feeling satisfied with small winnings or the simple thrill of playing a game for free, casino money. And from there on, you could be dealing with a whole new set of problems. According to Timothy 6:0, “the love of money is a root of all kinds of evil”. There are people who are eager to constantly make more money and they are wandered from the faith. Mark 8:36 says the profit of a man is not important as long as he loses his own soul while making it. These Bible verses tell us that we needn’t let ourselves get lost in the struggle for making money and gaining material possessions into this life. We are taught to be content with what we have as God will never forsake us. We are also told that those who love money will never truly be satisfied by having money. And the same goes for those who love abundance with their income. We need to stay away from vanity and remember our lives do not consist in the abundance of the possessions we own. What Is The Right Approach Then? Most people take on gambling as their favorite hobby because it allows them to unwind, decompress, and get rid of the daily stresses while playing fun, cheerful, and exciting games. 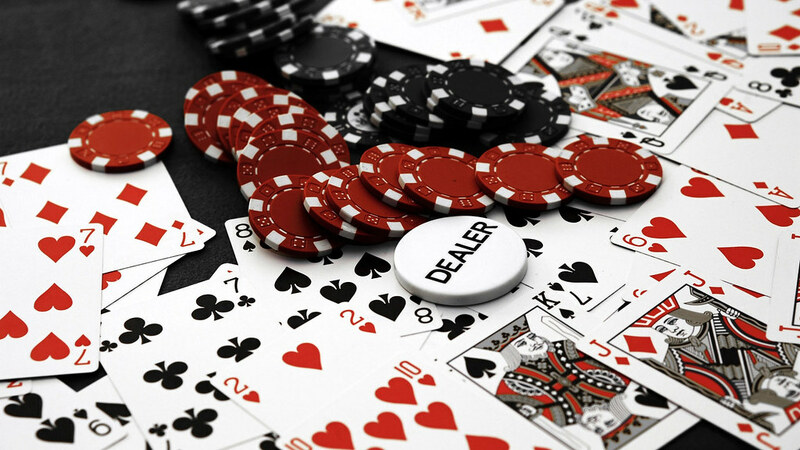 Be it online or offline, in brick-and-mortar venues, gambling is definitely is the source of relaxation. With so many different games to choose from, ranging from classic, fruity slots, to action hero or sports themed slots or pokies to Texas Hold’em, 5 or 7 Stud Poker, and other world-famous poker titles, arcade games, blackjack, baccarat, bingo, and anything else available, it can be difficult to stay away from gambling. When one gambles not to boost their fortune with the jackpot prizes, and feed their vanity, but rather to lose the stress and enjoy themselves, it is probably safe to say that gambling is not dangerous. There are also times when a person in distress might be in desperate need of some quick money; people get sick and medical bills need to be paid off. Home appliances break out of the blue and they need to be immediately replaced. And, of course, the list goes on. Gambling with the intent to win some money to cover these emergencies or even help out those in need could also be considered something positive. There are also churches that organize bingo and lottery nights as a means of raising money for charities. This is another strong argument that should be considered here. Nevertheless, there are also lots of conservative Christians who do not agree with any form of gambling, under any circumstance. Even when the gambling, lotteries, and raffles are organized for the sake of helping those less fortunate around us.